​Since therefore the Scriptures teach that speaking in tongues is not for our day, and that this "gift" of the Spirit, in common with the other "gifts," ceased shortly after the Apostles—who alone could bestow these "gifts"—fell asleep, how do we account for the modern manifestations of what is claimed to be Biblical tongues-speaking? In our day, "speaking in tongues" is featured at many religious meetings, and with great fervor is defended verbally and in voluminous literature as being an evidence of genuine baptism with the holy Spirit. Factually, present-day "tongues-speaking" manifestations have generally been of three general classifications. We state these without any desire to reflect against any of our sincere, earnest Christian brethren who are seeking to ascertain the will of the Lord. Nevertheless, we believe that those sincere Christians who now claim to receive and/or that others receive from God through His holy Spirit the miraculous power to speak in tongues are laboring under a delusion. (1) As most of our "tongues-speaking" brethren will agree, it is fairly easy for someone to make believe, to act out, that he or she is genuinely speaking in tongues, by going through certain motions, usually manifesting much emotion, and speaking something in another language or uttering some unintelligible gibberish. This kind of acting, or hypocrisy, has often been practiced, with the result that many have been deceived thereby. Often it is done merely to impress others. Sometimes such fakery can be detected by noting a repetitious lingo, apparently memorized. However, we recognize that such hypocrisy is surely not practiced by all, nor even most, who claim to genuinely speak in tongues. (2) Modern "glossolalia" may be psychological in origin—the result of more or less of emotional ecstasy, in which one loses temporarily to some extent his self-consciousness and his power of fully rational thought and self-control. This extreme emotionalism is often stirred up by a kind of rhythmic hymn-playing which is much akin to jazz, accompanied by singing, repetitious prayer, shouting, hand-clapping and other nerve-jangling sounds. Many, however, claim to have received the power to "speak in tongues" under seemingly peaceful conditions, there being no unusually strong emotional pressure externally present. Emotions no doubt are aroused, but not to the extent that the condition may be called one of extreme emotionalism. Then, too, present-day "tongues-speaking" may be the result of autohypnosis or autosuggestion. In this case the suggestion comes from oneself rather than directly from another. This could explain those experiences of modern "glossolalia" which begin in private (sometimes by watching or hearing manifestations of "tongues-speaking" on television or radio). It may be that a person fixes his attention so intently on an experience, such as modern "glossolalia," that he provides for himself the strong power of suggestion usually supplied by a hypnotist. Thus he is led to yield himself to what he conceives the "tongues" experience to be, though in his mind he believes he is yielding to the influence of the holy Spirit. Because he knows what present-day "tongues-speech" is like, he imitatively breaks forth in the same kind of utterance. This experience may come only after many days and nights of fervent prayer and seeking, which thus magnify the original suggestion until there is produced a kind of self-hypnosis, resulting in what is believed to be the genuine tongues-speaking "gift" of God's holy Spirit—the power to speak with other tongues. Where present-day "speaking in tongues" has taken the form of utterances in a genuine foreign language, it may be because of exalted, or heightened, memory. In such cases a person has retained in his subconscious memory utterances in a foreign language which cannot be recalled under normal circumstances. But when the necessary psychological conditions are met, the foreign expressions are released and the person is able to speak more or less fluently in that language, which often he has never used or formally studied. For example, an illiterate servant in delirium—a certain part or parts of her brain thus being inflamed—spoke at length in Latin, Hebrew and Greek. Upon investigation it was discovered that when she had been serving for some time at a clergyman's home she had heard him recite long passages in these languages. And because of the prevalence of television, radio, newscasts, records, tape recordings, movies, etc., almost everyone hears some foreign languages spoken. Given the right emotional and mental conditions, they could probably recall from the subconscious mind some or all of what they had heard, as the foregoing illustrates. Finally, under this heading, psychological "glossolalia" may occur as an "escape valve" for one under great emotional strain or depression. This is made possible as the person mentally dissociates himself from the normal, intelligent patterns of thought and speech, thus freeing himself from certain adult inhibitions; and, not submitting his words to a rational examination by the conscious intellect, he utters the first things that come into his mind—including nonsensical syllables and words and/or foreign terms and sayings brought from the subconscious. The result is usually a release of tensions and a feeling of peace and joy. (3) As much as we appreciate the evident sincerity and earnestness of our Christian brethren who "speak in tongues," we must warn them that some cases of "glossolalia" are undoubtedly demonic in origin. The yielding of oneself fully in order to experience "tongues" lays one open to the entrance and control of Satan and his demons. Satan is a person, and not just an abstract principle (see Bible Standard No. 458). He has been a "liar from the beginning" (John 8:44), and he has ever sought to undermine God's influence among angels and men, to discredit His holy character, and to misrepresent His purposes and plans. This he still is doing, among other ways, by counterfeiting many features of God's Plan and His methods of operation. We see such counterfeits especially now as "the god of this world" (2 Cor. 4:4; John 14:30; Eph. 2:2) is seeking to keep men under deceptions in order to hold together his divided and disintegrating kingdom. In Matt. 12:25-27, our Lord said: "Every kingdom divided against itself is brought to desolation; and every city or house divided against itself shall not stand: And if Satan cast out Satan, he is divided against himself; how shall then his kingdom stand?" Jesus here indicated that exorcism would be practiced by Satan when he (the strong man—v. 29) would be in the process of gradually being bound, i.e., restrained in his control over the angelic and human members of his house, and over his goods, by the many strong "links" of secular and religious truths in the Lord's great Chain of Truth (Rev. 20:1-4). Signs of the times indicate that Jesus here in the end of the Age is indeed binding Satan and spoiling his house (kingdom). From this we may rightly conclude that Satan has been and is divided against himself. Our Lord also implies in v. 27 that it is possible for Satan to cast out Satan, i.e., to do, to a degree, what God, through Jesus and a holy power, could do (2 Cor. 11:13-15). An outstanding example of Satan's power to imitate, though limitedly, God's power, is found in Ex. 7:8-12, where Pharaoh's magicians cast down their rods, as Aaron under Moses' direction had done with his, and caused them to turn into serpents, evidently by the power of Satan. That the power of Satan is inferior, is shown by the fact that the magicians' serpents were swallowed up by the one serpent of Moses and Aaron. Since Satan is able to counterfeit, though limitedly, the miracles of God, is it not reasonable to conclude that he is able to counterfeit the gift of speaking in tongues? And just as a counterfeit is an inferior imitation, but not the real thing (as the magicians' serpents were inferior to the serpent of Moses and Aaron), so we would expect the "tongues-speaking" that is produced by Satan and his fallen angels, to be an inferior imitation, but not the true, God-given "gift" of speaking in tongues found in the early Church, e.g., at Pentecost and at Cornelius' home. Most of the present-day "speaking in tongues" consists of utterances which do not resemble any of the many languages known to man. "Glossolalics" often concede this, saying that this is the speaking in an "unknown tongue" referred to by the Apostle Paul in 1 Cor. 14. However, please note that in the King James Version Bible all of the six occurrences of this expression "unknown tongue" (in 1 Cor. 14:2, 4, 13, 14, 19, 27) show the word "unknown" in italics, thus indicating that it has no corresponding word in the original text, but was supplied by the translators. Most other translations do not add the word "unknown" to the text. The expression for "unknown tongue" does not occur anywhere in the Greek text, and there is no basis in it for such a thought; and therefore we should not use this expression, because the thought usually associated with it—that it refers to an unearthly tongue—is unscriptural, as we shall see. One of the reasons for which the "gift" of tongues—along with the other "gifts" of the Spirit—was bestowed upon the early Church was, as already stated, to serve as a sign for the unbelievers especially (1 Cor. 14:22), thus enabling the Church to gain recognition in the world and to mark her out as being special. Undoubtedly, while this attracted the attention of some of the world and unbelievers who remained in unbelief, it attracted the attention also of those whom God was drawing unto Jesus (John 6:44): from among (1) the Jews—the "Israelites indeed" (John 1:47)—and (2) the Gentiles, who were "aliens from the commonwealth of Israel" (Eph. 2:11-19). Thus, when the Gospel was due to go out to the Gentiles (Acts 10:1-48; 13:46; 28:25-28), God "did visit the Gentiles, to take out of them a people for his name" (Acts 15:14). Note that the Greek word glossa, translated (in the plural) "tongues" in v. 11, is the same word that is used throughout the whole of the New Testament—including Paul's famous remarks about the "gift" of tongues in 1 Cor. 12, 13 and 14—whenever the word "tongues" occurs. That glossa (in the plural) was intended to convey the meaning of true languages, earthly discourses, is made plain by the fact that it is used in relation to kindreds, peoples and nations—all of whom of course speak various languages and dialects (Rev. 7:9; 10:11). Additionally, in the passage under discussion — Acts 2:5-11 — glossa, translated (in the plural) "tongues" in v. 11, is made synonymous with dialektos, translated "language" and "tongue" in vs. 6 and 8, which verses obviously refer to a foreign, but earthly speech. In Acts 11:1-18 Peter relates to those "Jews that were of the circumcision" his experience with Cornelius and his household (Acts 10). After summarizing the matter, he says (v. 15): "And as I began to speak, the Holy Spirit fell on them, as on us at the beginning." When Peter referred to "us" he undoubtedly had in mind the disciples at Pentecost ("the beginning"). How did Peter know that the holy Spirit came upon Cornelius and his household as it did upon the disciples at Pentecost? It was by the same visible manifestation, for like those at Pentecost they spoke "with other tongues" and magnified God (Acts 10:44-46). Peter makes it very clear that they were not speaking in some kind of unintelligible gibberish but were speaking "with other tongues" — in genuine foreign earthly languages — "as on us at the beginning" (Acts 2:4-11); for he explains to his Jewish brethren that "God gave them the like gift as he did unto us" (Acts 11:17). Acts 2 and 10 give us the only two detailed Scripture accounts of persons speaking "with other tongues." And in both cases, as we have just seen, the tongues spoken were genuine foreign earthly languages. Thus we have a criterion, a standard of judging, as to what Paul meant by the "gift" of speaking with tongues when he wrote of it later in 1 Cor. 12, 13 and 14; for he did not define it otherwise. 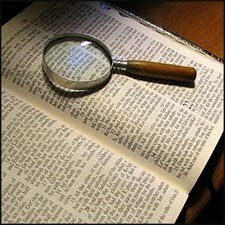 We must understand various terms to mean what the Scriptures originally indicate them to mean (unless specified otherwise) if we would have a true and harmonious understanding of the Scriptures. There are a few recorded instances of modern-day "glossolalia" in genuine foreign languages. For instance, at a large religious gathering, a Chinese lady heard a person speaking from the platform in a "tongue," and she recognized it to be her native language. She refused to tell inquirers what was uttered, saying that it was impure, filthy speech, too vile to repeat. However, all cases of speaking in "tongues" in a truly foreign language are not impure, filthy. But "tongues-speaking" that is really in a known foreign language occurs very rarely compared with the more usual experience, where what is said is unintelligible to anyone. Honor always to my King.